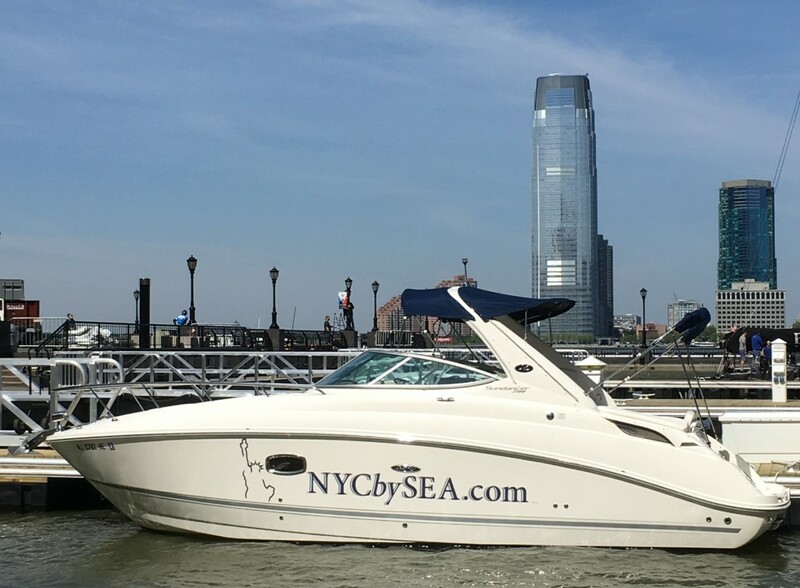 Manhattan’s newest sightseeing cruise offers passengers an unforgettable experience aboard a luxurious powerboat. Why waste time waiting on long lines and sitting aboard a crowded ferry when you can enjoy the relaxation of a privately chartered tour, but without paying private charter prices? 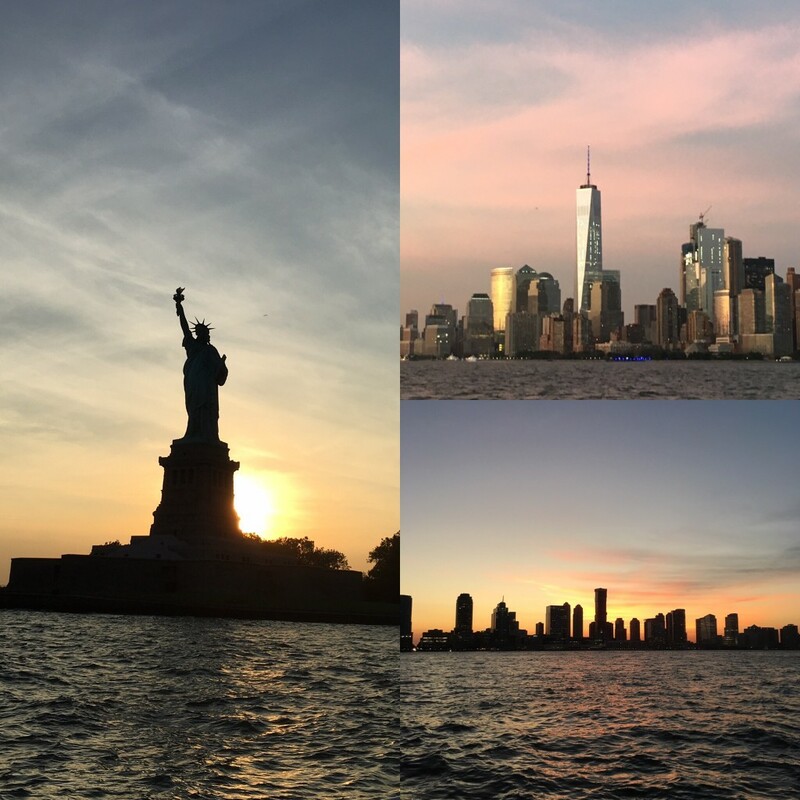 NYCbySEA’s one-hour sightseeing tour creates a truly memorable experience for everyone aboard. Passengers embark at North Cove Marina in lower Manhattan, and the tour begins after a short safety briefing. The boat stops for photos at the Freedom Tower, circles around Battery Park, cruises up the East River and stops again for a photo opportunity underneath the Brooklyn Bridge. 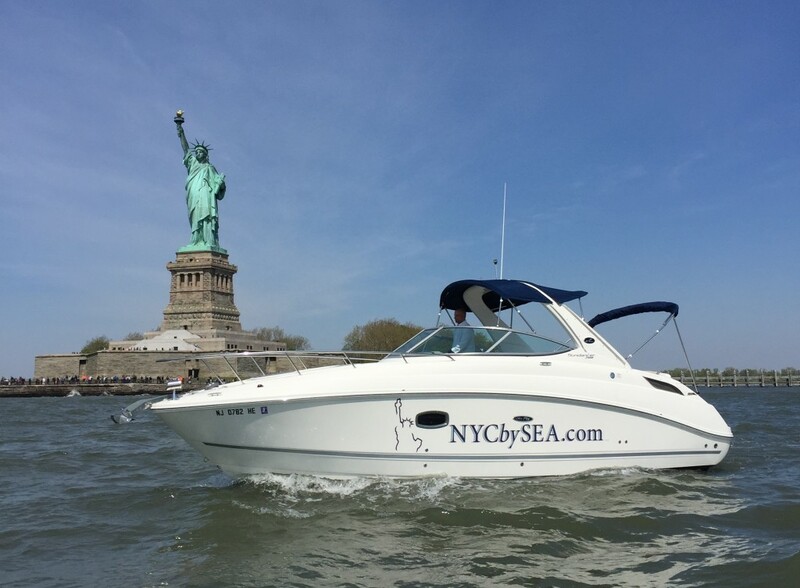 Then sit back, relax and listen to the music of your choice as NYCbySEA cruises out to the Statue of Liberty. The boat stops directly in front of Lady Liberty giving passengers a perfect setting to photograph themselves with one of the most iconic landmarks in the world. 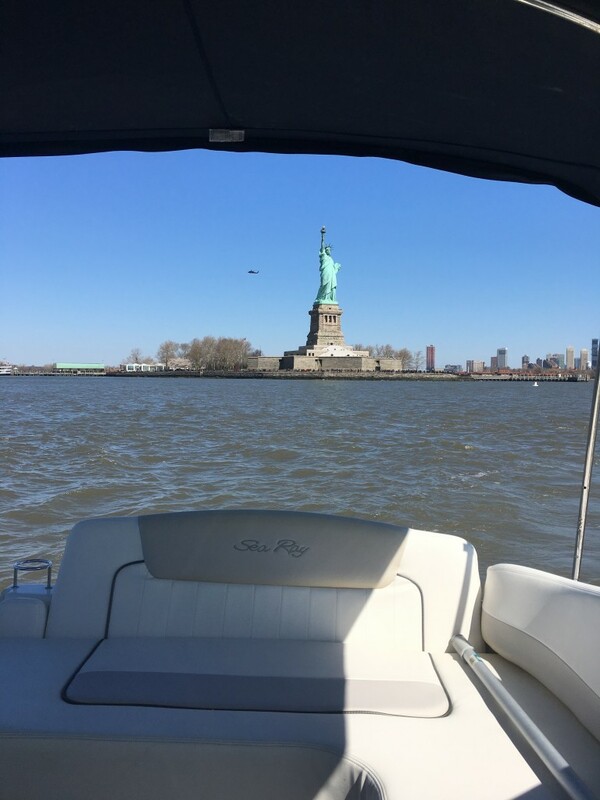 Throughout the tour, passengers can enjoy a light refreshment as our captain touches upon the history of the Hudson River and gives some historical facts on the Brooklyn Bridge and the Statue of Liberty. 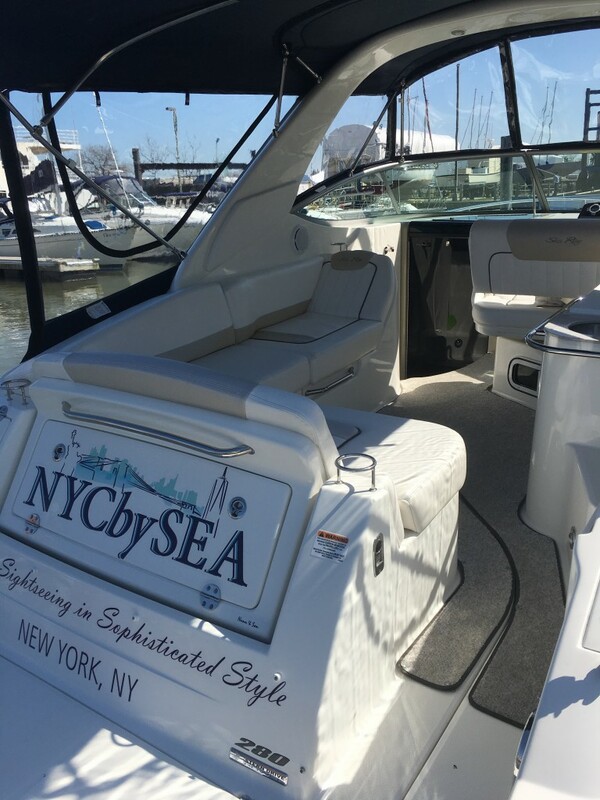 With prices at $85.00 for adults and $60.00 for children 12 and under, NYCbySEA truly offers Simple Sightseeing in Sophisticated Style! Scheduled sightseeing tours run daily at 1:30, 3:00 and 5:00 (weather permitting) from May 1st to October 31st. We ask that passengers arrive 15 minutes prior to departure. For more details about our tour, rules for when you are on board, or any other additional questions you may have, please visit our FAQ page or please feel free to contact us.